According to a new report from the University of New Hampshire, campuses are becoming more energy-efficient, but their progress is insufficient to meet climate action goals. A free webinar, from 3-4 pm, July 26, will discuss strategies to get higher education on track to tackle climate change. Out-smart T.rex Discovery Centre’s paleontologists and scientists at the T. Rex Summer Gala fundraiser on July 29 in Eastend. The Saskatoon Food Bank and Learning Centre is hosting two workshops on insects: friend or foe on Aug. 8 at the Garden Patch – for kids from 12-2 pm and for everyone from 3-5 pm. Wildernook Fresh Air Learning will be running a Nature Grandparenting program on Tuesday mornings from Sept. 5 to Oct. 10. Introduction to Passive House High Performance Buildings, providing an overview of the core principles of Passive House design and building energy efficiency regulations in Canada, is being offered in Saskatoon on Sept. 30. Library of Things #yxe is looking for building supplies and builders to help set up a lending library. Harbour Landing and the Saskatchewan Science Centre are hosting Science in the Park for kids from 6-8 pm, July 18. There will be a Superheroes of Sustainability stage show at 7 pm. 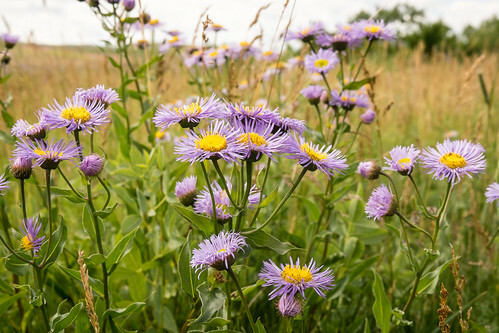 Help re-create habitat for indigenous pollinators in a planting bee at the Prairie Habitat Garden from 9 am-5 pm, July 21. 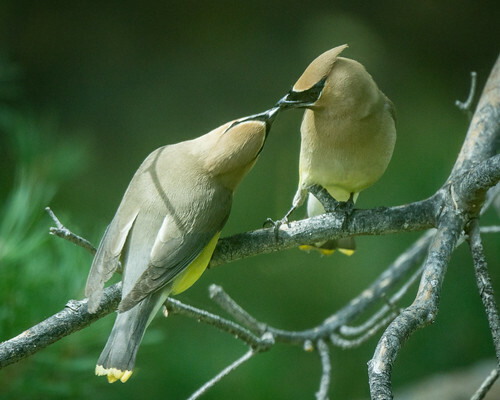 Kylie Garchinski will discuss the Nature Conservancy of Canada: Prioritizing Conservation in Saskatchewan in a noon-hour webinar on July 24. 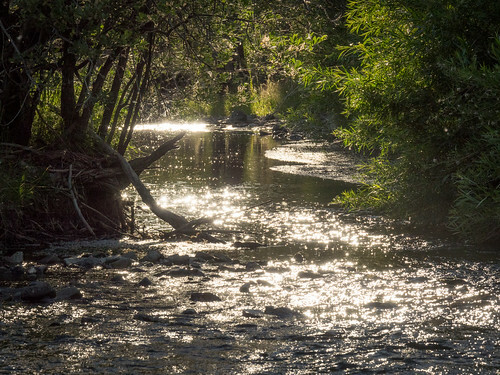 Meewasin Valley Authority is hosting a bioblitz at the Northeast Swale from 5 am-9 pm, July 26. 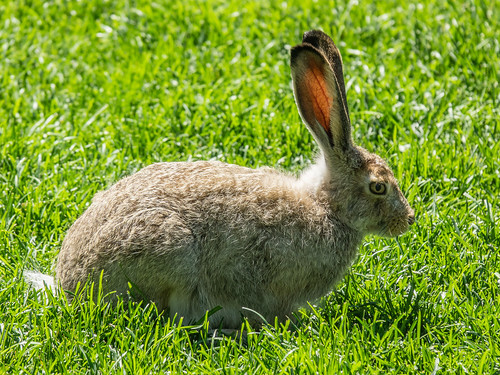 Activities will include grassland bird point counts, wetland macro-invertebrate sampling, insect traps and sweeps, small mammal traps, plant inventories, ecological health assessments. Join Jay Maillet and friends for a Carbonless Concert Jam Night from 6:30-9 pm, July 29. Everyone is invited to participate. SaskOutdoors is planning a Family-Friendly Summer Ecotour at the north end of Last Mountain Lake, Aug. 4-5. Dr. Jane Goodall will describe her extraordinary scientific breakthroughs in animal behaviour and her journey to becoming one of the world’s most prominent and active conservationists from 7-10 pm, Sept. 30, in Saskatoon. Retirees and partners who are interested in birds and the natural world are invited to participate in Golden Eagles field trips. Nelson, BC, is home to Canada’s first municipally-owned solar farm. The City of Calgary is looking for a new strategy to help residents better co-exist with coyotes. In most cases of human-coyote conflict, it’s the actions of humans that are the primary cause. On a finite planet, endless economic growth is not an option. Want to fight climate change? Have fewer children, sell your car, take fewer flights, and eat a vegetarian diet﻿. Coca Cola sells more than 100 billion single-use plastic bottles a year. Why aren’t they 100% recycled plastic? Since we can’t make flying sustainable right now, we need to make the best possible use of the planes that we have, cutting emissions where we can. Limiting the number of luxury seats is one of the easiest things we can do. To be efficient and fair, a transportation system must serve diverse demands, including the needs of people who for any reason cannot, should not, or prefer not to drive. Here Be Dragons - and Damsels! Darting over the water, resting on a rock – there is an abundance of dragonflies and damselflies at this time of year. But don’t take them for granted. These aerial acrobats are anything but commonplace. Dragonflies are insects with long bodies, big eyes, and transparent wings. 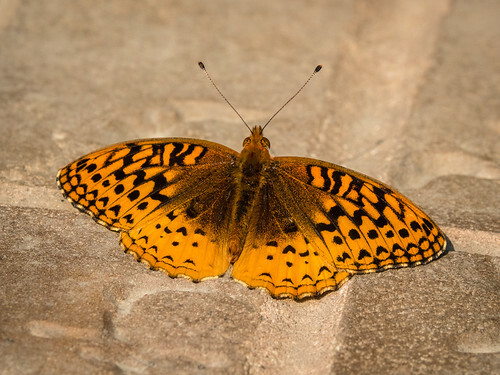 They range in size from ½ an inch to 5 inches with wings from 2-5 inches across. Dragonflies were one of the first species to evolve over 300 million years ago. At that time, they were much larger with a wingspan of up to 2 feet. Dragonflies are impressive fliers with two sets of wings that can operate independently or in unison. They can reach speeds of up to 30 miles per hour, flying up and down, forward and backward, or hovering like a helicopter. They need warmth to fly, however, and will often land when the sun goes behind a cloud. 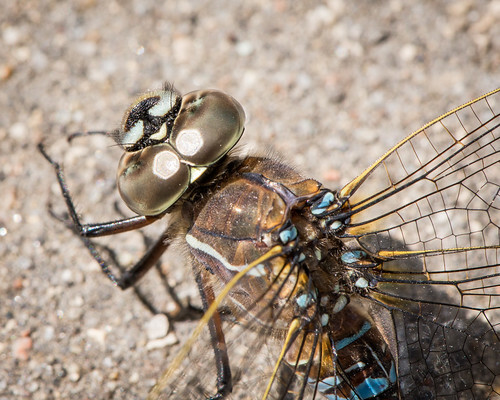 Compared to other insects, dragonflies have extraordinary vision, helping them to avoid in-flight collisions. Their large eyes take up most of their head and they can see in every direction except right behind them. Dragonflies live near water where they can be sure to find plenty of mosquitoes and gnats. They capture their insect prey in their legs, extending a long, hinged lower lip to eat it while still in flight. 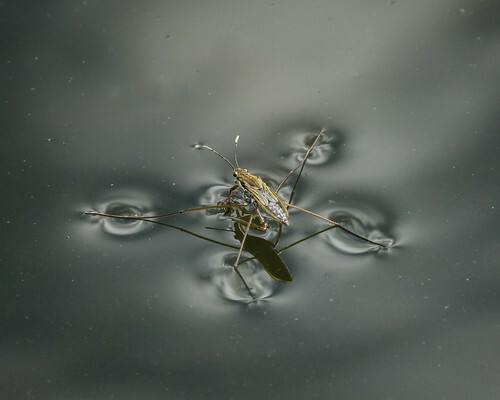 Dragonflies lay their eggs on the surface of the water. The eggs hatch into naiads that have gills and stay underwater for 2-3 years. Dragonflies spread their wings apart when resting; damselflies keep their wings together. 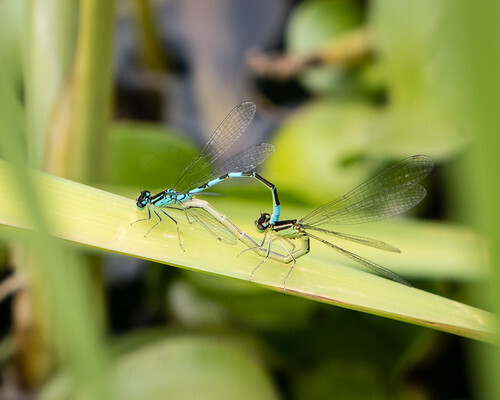 Damselflies are smaller with slimmer bodies than dragonflies. The eyes on a damselfly are separated; on most dragonflies they touch. 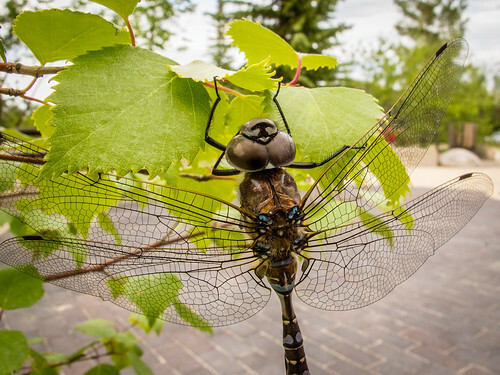 Join the Saskatoon Nature Society from 1:30-4:30 pm, July 16, to look for dragonflies and damselflies at a nearby wetland. Canada Green Building Council is offering a LEED building tour of the Mosaic Tower at Hill Centre III followed by a networking event from 5:15-6:15 pm, July 13. Cinema Politica is screening Blue Gold: World Water Wars at 7 pm, July 19, in Regina. 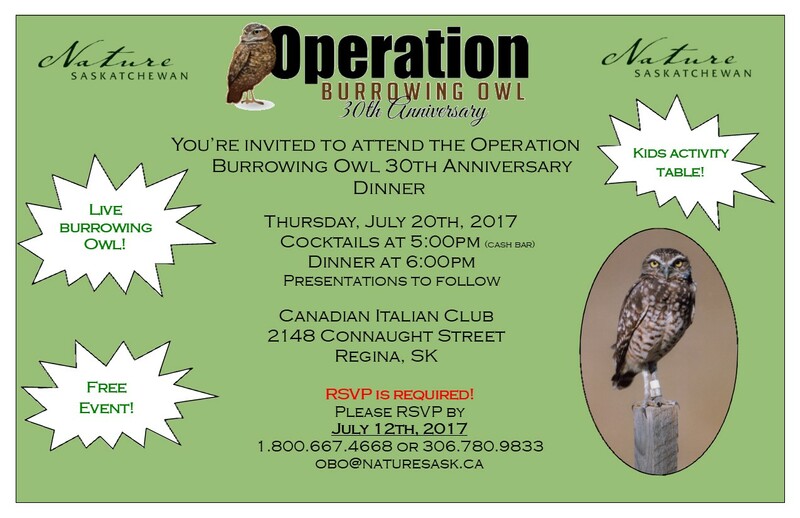 Join Operation Burrowing Owl as they celebrate their 30th anniversary with a dinner on July 20. Learn how to install and maintain a rain barrel and use rainwater for all your gardening needs at Edible Landscapes' Rainwater Harvesting workshop from 1-4 pm, July 22, near Regina. The Saskatoon Food Bank and Learning Centre is hosting a workshop on bokashi composting from 12:30-2:30 pm, July 22, at the Garden Patch. Walking Saskatoon is meeting from 1-2:30 pm, July 23, in the Brainsport Event Room. They’ll be talking with the Active Transportation Plan Coordinator about the state of the Plan. 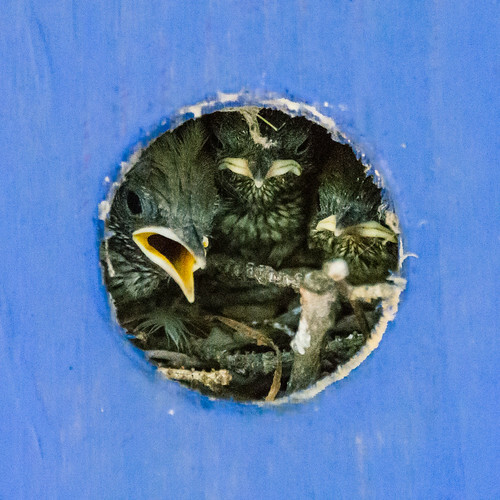 The Ecological Citizen is an online peer-reviewed journal. It aims to advance ecological knowledge, champion Earth-centred action, and inspire ecocentric citizenship. Articles in the first issue cover Why Ecocentrism? The Ethical and the Practical Imperative and Wild Democracy: A Grassroots Vision to Transcend Capitalism. Will the next generation of tires be made from dandelions? Whether we’re hiking in the woods or along a river, it seems harmless to stick a pine cone in our pocket or throw an apple core into the bushes. And yet it’s not because if each and every person did the same thing, it would have a significant impact on our natural surroundings. Over 300,000 people visited Saskatchewan’s national parks in 2015/16. To ensure that our neighbours can also enjoy our wilderness areas, each of us needs to do our part to walk gently on the land and leave no trace. Leave No Trace Canada is a national non-profit organization dedicated to building awareness, appreciation, and respect for our wildlands, and EcoFriendly Sask is one of their partners. The Leave No Trace Center for Outdoor Ethics has some additional ideas that you may not have thought of – from sleeping under the stars to cleaning your bicycle. Are You a Considerate Mountain Biker? 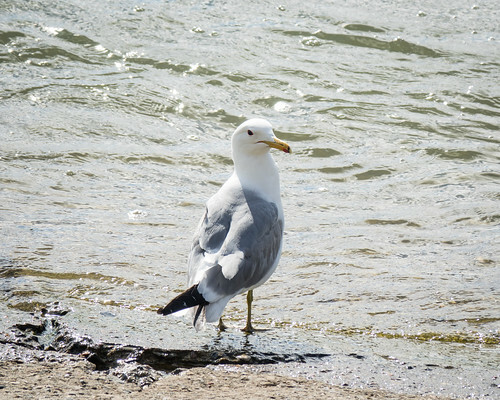 WUQWATR is holding a public information session at 7 pm, July 11, to discuss the potential impact of the Quill Lakes on the Qu’Appelle Valley river system. 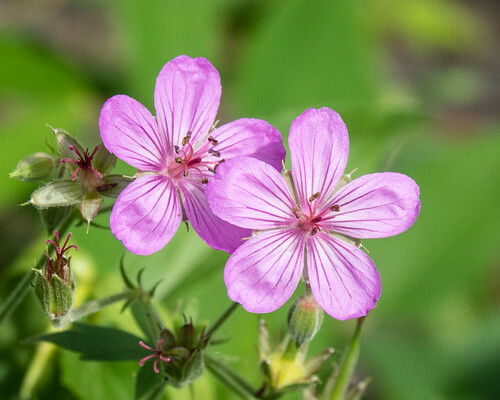 The Saskatoon Nature Society and the Saskatoon Food Bank and Learning Centre are holding a bioblitz at the Garden Patch from 7-9 pm, July 12. The Saskatoon Food Bank and Learning Centre is hosting a workshop on plant diseases, illnesses & solutions from 2-4 pm, July 15, at the Garden Patch. You can dispose of household hazardous waste in Saskatoon from 9 am – 3:30 pm on July 15. The Family Day at the Zoo fundraiser, including entertainment, animal talks, and activities for children, will be held from 9 am-4 pm, July 16. 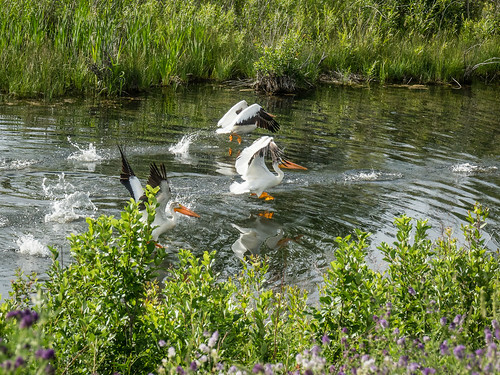 The Nature Conservancy of Canada’s Conservation Volunteers program provides great opportunities to get outside and do your part to protect or repair damage to the environment. There are 3 volunteer opportunities in July. Check Nature Regina’s website for full details and updated information. Retirees and partners who are interested in birds and the natural world are invited to participate in Golden Eagle field trips.